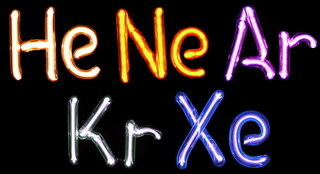 The 'Noble Gas' discharge tube set. - Hand made by famous neon artist! All tubes 100% mercury free! The power supply shown on the picture is not included but can be found here.